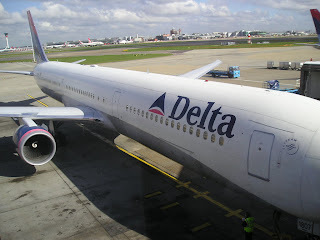 Delta Airlines has disclosed via filing on Sabre GDS system that they will be reducing service into Accra, Ghana from the on set of the IATA S16 season i.e. 27MAR16. United Airlines has been cited in the media that it has nearly given up on his expansion plans for India and instead is focusing on boosting its presence in China where it already is the largest U.S. carrier operating in terms of number of weekly frequencies. It is doing this by focusing its China strategy around the B787 aircraft and its SFO hub on the U.S. West Coast as the ideal strategic location. 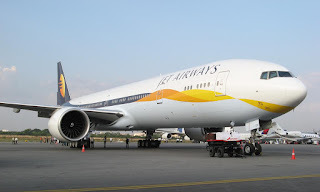 UA should not give up totally on India expansion as there is a way in which it can boost its presence by operating to Bangalore via Hong Kong on a daily basis. Currently, UA has 1 B777 + 1 B744 parked at HKG for 17 hours each daily operating from ORD (B777) + SFO (B744). These flights arrive into HKG between 1800-1830 and depart back between 1130-1145 the next day. BLR-HKG is a 5 hour 30 minute flight each way and UA should seriously consider using the B777 that originates from ORD to fly to BLR via HKG for which it also has 5th freedom traffic rights. In the past UA used to operate HKG-DEL with 5th freedom rights hence getting permission for HKG-BLR should not be a big issue with a little bit of political influence. The above mentioned schedule allows excellent connections to SFO for BLR via HKG in both directions on UA as UA 869 lands into HKG at 1840 on a daily basis and departs back to SFO the next day at 1130 (US 862) hence offering a quick 90-120 minute transit maximum for SFO passengers to connect on to the BLR service. In addition to the above markets, the schedule that I have proposed for UA also enables it to feed Seoul and Tokyo via Hong Kong conveniently with fellow STAR members i.e. ANA + Asiana. The demand from BLR to ICN was 17,000 where as NRT was 28,000 with neither cities seeing currently nonstop service to BLR as pax have to fly CX/SQ/TG only to get there. With fuel prices being $40-50 a barrel it offers an attractive proposition for UA to seriously consider from IATA S16 season onwards as its market share to India is getting rapidly taken away from the Middle East carriers + CX/BA/LH ! 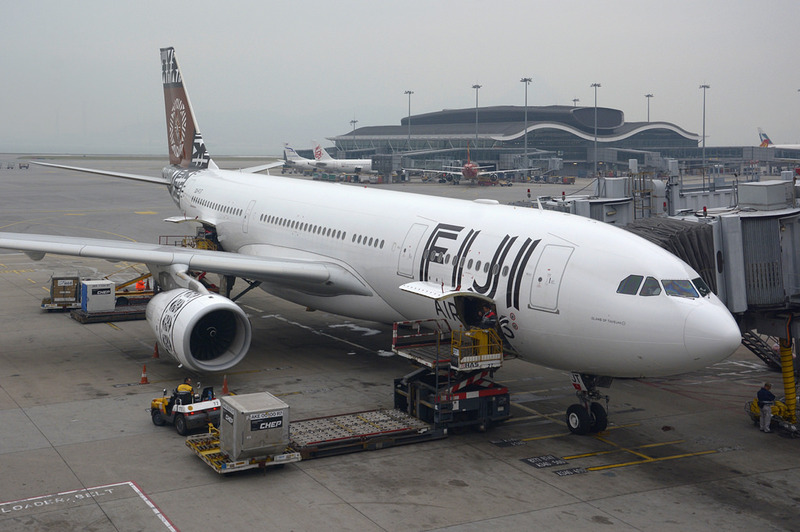 Fiji Airways has officially unveiled its first new Airbus A330-300 that will be put into service full time soon on long haul trans-pacific flights. The configuration sees 313 seats in total with 24 business class + 289 economy and the first 3 routes it will be used on are Auckland, Sydney and Los Angeles. Singapore Airlines has officially announced that due to surging demand from Austral-Asia as well as its own home market region (SIN+KUL) to Sri Lanka over the past year, it will be increasing its presence in the Colombo marketplace effective 30MAR. Turkish Airlines has officially announced that it will be increasing its presence in the Southeast Asia market segment in an aggressive manner from S16 season onwards as the carrier looks to capitalize on the downsizing of MH/TG/AF/KL in Asia. BKK - frequencies increased to double daily nonstop using an A333 exclusively with all flights being terminator operations ! China Southern Airlines (based out of Guangzhou) has officially announced that it has placed a US$ 2.3 billion order with Airbus for the procurement of 10 new A330-300s. CZ has not indicated whether these units will be used to expand regional services or to replace its oldest A330-200 units. Currently, CZ has 16 A332s + 19 A333s in its operational fleet. Emirates has officially announced that it will be launching new daily nonstop flights between Dubai and Cebu, Philippines effective 30MAR16. The only GCC carrier that used to fly to CEB was Qatar Airways who operated a 3 weekly DOH-CEB service using an A332 until early 2012. 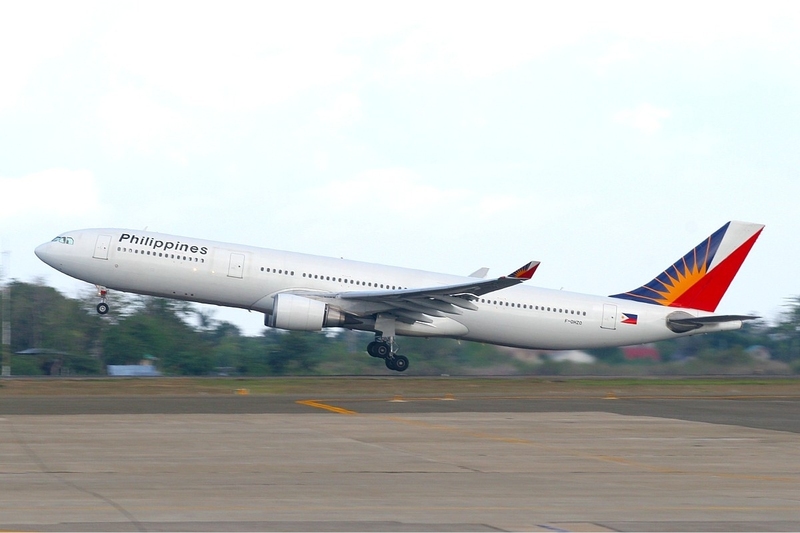 Philippine Airlines has officially announced that it will be launching new services to Doha, Qatar effective 28MAR16. Flights will be operated 5 times per week using a 368 seater A330-300 via Abu Dhabi. The schedule calls for operations on Days 1/2/4/5/6 with an 0805am arrival / 1005am departure to/from Doha. 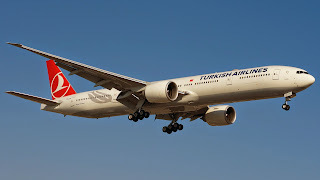 Turkish Airlines has announced that as a result of its gradual phase out of the aging Airbus A340-300 fleet from their own mainline operations, it will be increasing capacity on the Istanbul-Manila route effective 27MAR16. 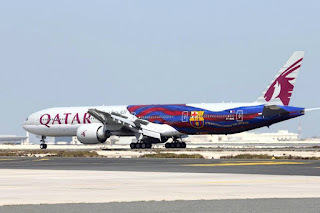 The original plan was to operate 3 weekly B77Ws along with 3 A343s on a nonstop basis, however from the on set of the IATA S16 season, all 6 weekly flights will be flown by the 349 seater B77W thus representing an increase of 210 seats per direction per week. 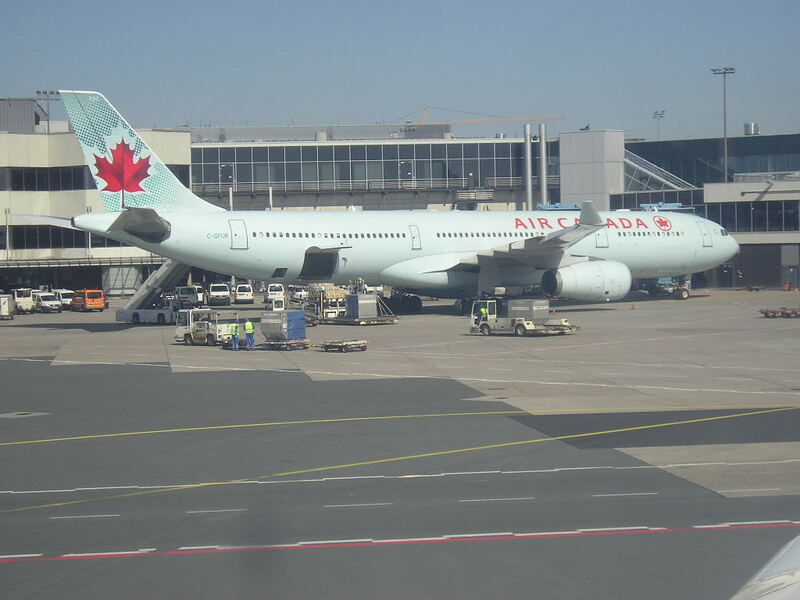 Air Canada has officially announced that as a result of a liberalized bilateral accord struck between Canada and Australia last week, it shall be increasing its frequencies to Brisbane from June 2016. Originally planned to be 3 weekly nonstop flights from YVR-Vancouver using a B788, these will now be increased to daily nonstop from the on set itself using the same aircraft type. As a result of the above, the total number of weekly seats (one way) in IATA S16 season that AC will be deploying to Australia is 2100 (SYDYVR B77L daily) + 1757 (daily BNEYVR B788) giving a total of 3857 which means AC has the liberty to add another 2143 seats per week into the market should it be merited as the new bilateral allows 6000 per week per direction. If they decide to launch YVR-MEL on a daily basis with the B789 it means 2086 seats added hence under the 2143 balance amount remaining! Delta Airlines has officially announced that it has placed a large order with Boeing for 20 used Embraer 90s (ex Air Canada birds) plus 20 additional Boeing 737-900ERs. The latter will be used to gradually replace its oldest MD88s and B757s operating on domestic + Central America services. This order was actually placed many months ago for the same number of E90s but 40 B739ERs. It got later on cancelled as it was subject to a new union deal being reached between DL and its pilots which failed. 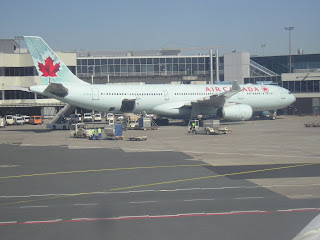 Now with things in order, DL has possibly obtained further discounts over here especially with the 20 E90s which Boeing bought from Air Canada in exchange for the Canadian carrier ordering a truck load of B737MAXs to replace its entire A320 family fleet. EVA Air has officially announced that it will be expanding its services to New York JFK and IAH-Houston in 2016 as the carrier looks to build on the popularity of these two flights as well as the beyond connectivity options on offer by fellow STAR member United Airlines out of IAH in particular. IAH will be increased from the current 4 to daily nonstop services using also a B777-300ER effective 10OCT. Singapore Airlines has officially revealed details of its Airbus A350-900 configuration that it expects to be delivered in 2016 as well as more info on its premium economy cabin. The initial A359s will be configured in a three class layout initially i.e. Business + Premium Economy and Economy. In total 253 seats will be on board with 42 in business + 24 premium economy and 187 in economy. In total, SQ has ordered 67 A359s (including options) of which 7 units are for the exclusive A359LR which it will use in 2018 to relaunch SIN-EWR and SIN-LAX nonstop as well as one more ultra long haul nonstop route which many pundits expect to be San Francisco. 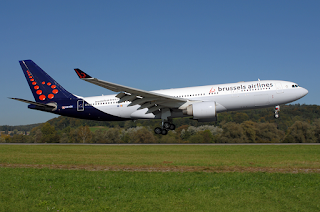 SN Brussels has officially announced that it will be embarking on an ambitious long haul expansion plan in 2016 as the carrier looks to expand its footprint on its core Africa market segment as well as North America. 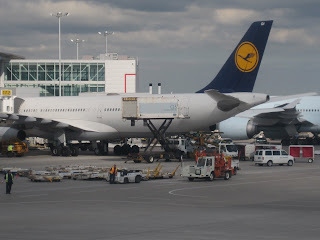 The Governments of Canada and Australia have confirmed that they have come to a mutually beneficial agreement expanding the air bilateral accord between both countries which in turn should facilitate greater people and cargo movement. Currently, Air Canada offers nonstop daily service from YVR to SYD using a B777-200LR (1890 weekly seats) + 3 weekly YVR-BNE using a B787-8 (753 seats). Turkish Airlines has officially announced that it will be increasing its services to Karachi, Pakistan effective 29FEB16. 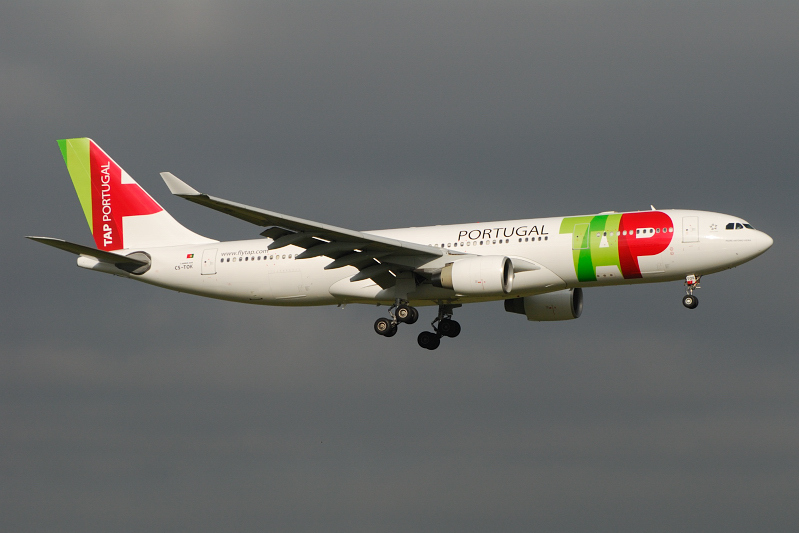 Currently, TK operates a daily nonstop flight using an A330-200. Etihad Airways has officially announced that it will be boosting its presence in the high demand Manila market by adding 3 new weekly frequencies on the route. Currently, it operates a double daily nonstop schedule AUH-MNL-AUH using a 2 class configured 412 seater B777-300ER. 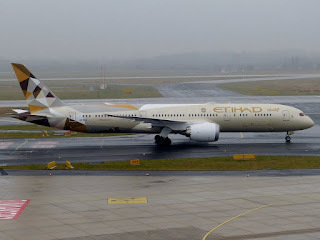 Etihad Airways has officially released details of its upcoming new deliveries of their B789s which will be configured in a two class layout rather than the current versions that have a three class premium configuration. The new dual class layout shall seat in total 299 passengers with 28 business class + 271 in economy. It will begin flying from August 2016 on services to DUS, JNB, PVG, PER and IST. In total, 36 B789s have been ordered by the carrier of which 5 are currently in operation in a three class layout seating 235 pax i.e. 8F / 28J / 199Y. Lufthansa has officially confirmed that it shall be suspending all flights to Kuala Lumpur, Malaysia effective 01MAR16. It has attributed high losses and low yields for the suspension as well as the inability to compete effectively against the one stop competitors from the Middle East and Turkey. LH currently operates FRA-KUL 5 times per week nonstop using its high density configured 279 seater A340-300. Sri Lankan Airlines CEO has officially confirmed that the airline is looking to renegotiate an existing order with Airbus that was for 7 Airbus A350-900s as the carrier feels that due to a changing market dynamic as well as less focus on Europe-Asia connectivity, it is better off pursuing the option of procuring more narrow bodied aircraft. UL's current long haul fleet consists of 7 A332s + 5 A333s (2 more yet to be delivered). 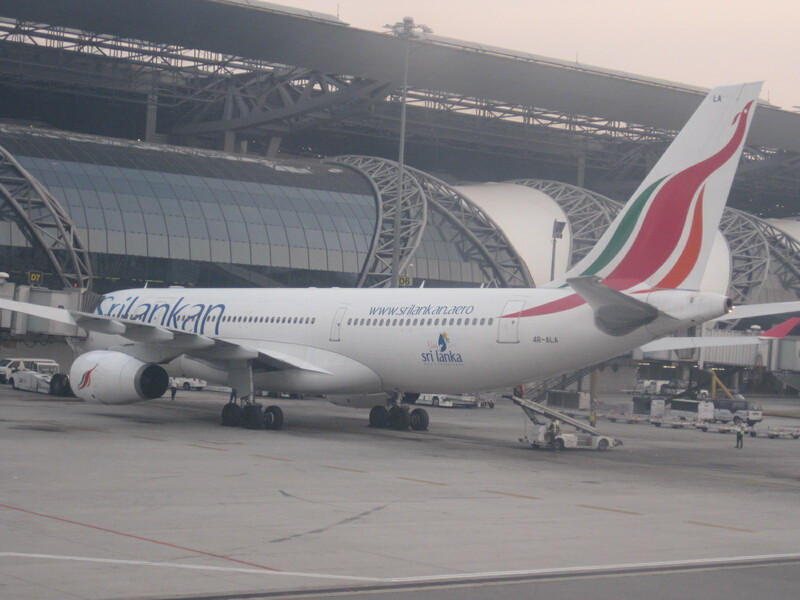 Its narrow body fleet after the merger with Mihin Lanka comprises of 6 A320s + 2 A321s. 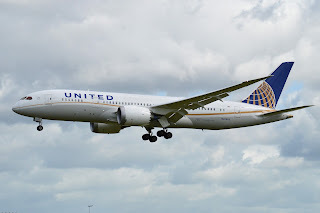 This is a sound move undertaken by the top level management team of UL as the correct way to move forward for the carrier is to boost its narrow body fleet by ordering a bunch load of A321NEOs. The Sri Lankan market segment largely consists of VFR, leisure and labor passengers bound to GCC, UK and East Asia with very little corporate premium demand. This is evident by the configuration of its A332s which have only 18 business class seats in them (flat beds) versus the standard 24-30 that one sees in other airlines. The A321NEO is the perfect aircraft for UL to meet both its medium and short haul needs with a low risk aircraft that can almost offer the capacity of a wide body but with narrow body operational costs. 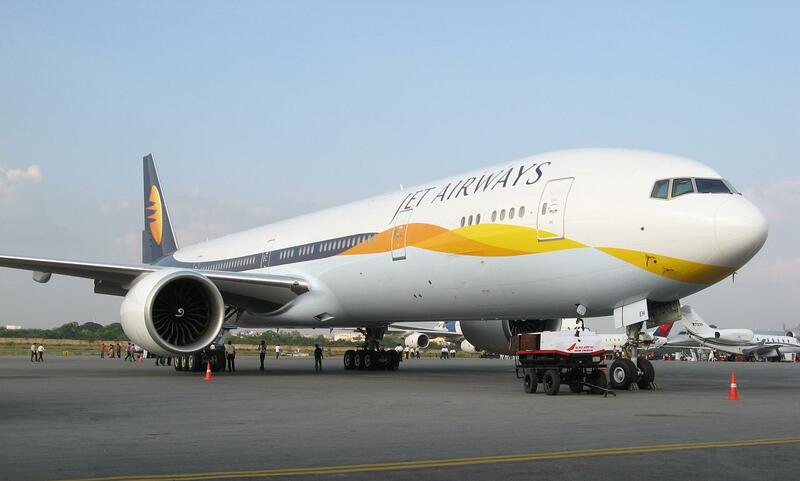 It can easily fly up to 6.5 hours nonstop from CMB airport with a full payload of pax and up to 4 tons of cargo. This means to the East it can fly CMB-PVG nonstop and JED to the West without any operational issues. With particular reference to markets such as BKK/KUL/SIN/GCC where demand is primarily in the Y class cabin, operating the A321 makes much more sense as it provides 25-30% more capacity versus the A320 against only 7% higher cost of flying. This is precisely why airlines such as Dragon Air, Etihad, Qatar Airways, American and Jetblue use this particular aircraft type on high density short/medium haul routes where there is predominantly more leisure versus premium demand. The A320NEO is relevant only to UL's Indian subcontinent network where it operates multiple daily frequencies to many markets where the lower capacity of the A320 comes in handy due to many flights on offer as they feed into UL's different arrival/departure hub wave banks. KLM has officially announced that as a result of surging demand, it shall be increasing its services into SFO-San Franciso, USA effective May 2016. Currently, KL operates a daily nonstop flight using a B747-400 Combi, however from May onwards these will be boosted to 9 weekly nonstop flights. The additional 2 weekly flights will be operated using its new B787-9. 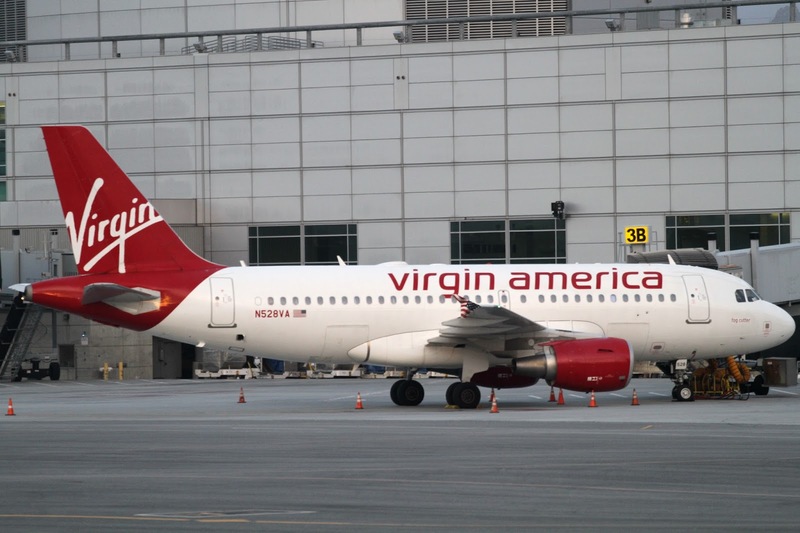 Virgin America (based out of SFO) has officially announced that it has placed an order for 10 brand new Airbus A 321NEOs as the carrier embarks on to its next planned phase of growth both from a capacity and on board product wise. 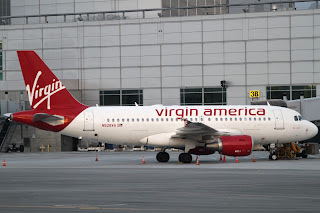 VX will be basing these aircraft exclusively out of its primary SFO base and shall be used mainly on multiple daily trans-continental flights to the U.S. East Coast and Florida. 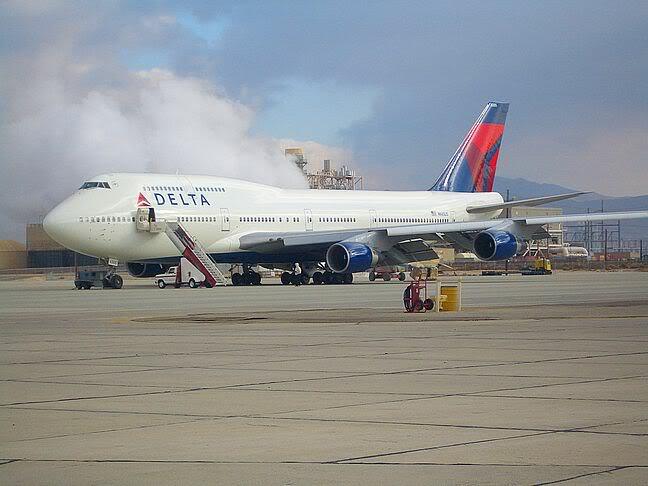 VX can also use the aircraft to operate on SFO-Hawaii routes when demand warrants it. Jet Airways of India has officially released details of a new broad based code share relationship with Delta and KLM via AMS from the on set of the IATA S16 season. Emirates has officially announced that it will be launching 2 new long haul destinations in China effective 03MAY16 as the carrier looks to tap into niche markets before EY/QR come into the mix. Iberia of Spain has officially announced that it will be launching new flights to JNB-Johannesburg effective 01AUG16 as the carrier looks to relaunch markets with more fuel efficient aircraft. Emirates has announced that it has secured bilateral approval to increase its presence in Cairo and Riyadh respectively and as a result of which has jumped on to the opportunity to cash in. To begin with, services to CAI shall be increased from double daily to 17 weekly nonstop using a B777-300ER effective 27MAR16. With regards to RUH, flights are being increased from double to triple daily effective 15DEC with a mix of A332s and B77Ws. Both the new CAI and RUH flights are overnight services departing Dubai v.v ! Thai Airways has officially announced that as a result of a surge in bookings being currently witnessed on its Beijing bound flights, it will be increasing its presence on the BKK-PEK route by adding a new daily flight effective 30JAN16. 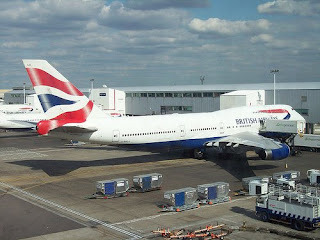 This is in addition to the five daily flights that CX already operates into LHR ! Emirates has officially confirmed that it has applied to the Chinese Civil Aviation Authorities to increase its current daily Guangzhou-Dubai nonstop service to an Airbus A380 from the on set of the IATA Summer 2016 season. 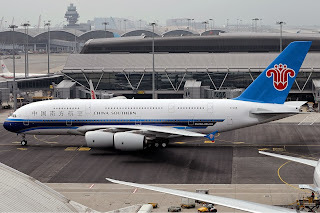 EK disclosed that the high density dual class 615 seater A380 will be used for this service from the on set of the IATA Summer 2016 season once approval is obtained. 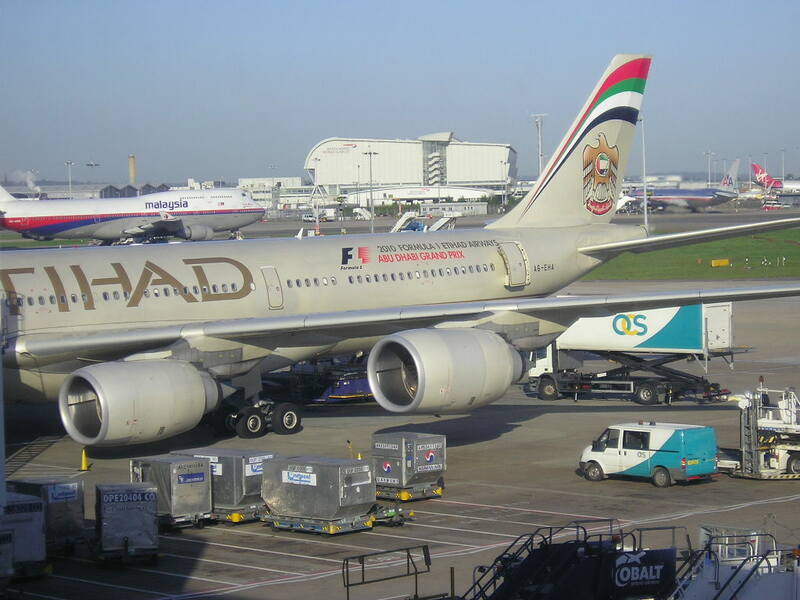 This capacity upgrade from a daily B77W to a daily 615 seater A380 represents a 46% capacity increase for EK on the DXB-CAN route and it is primarily aimed at poaching away the CAN-Africa market share from QR, ET and KQ as with the higher capacity on offer, EK can now compete more effectively with cheaper fares matching these three airlines to woo them away! 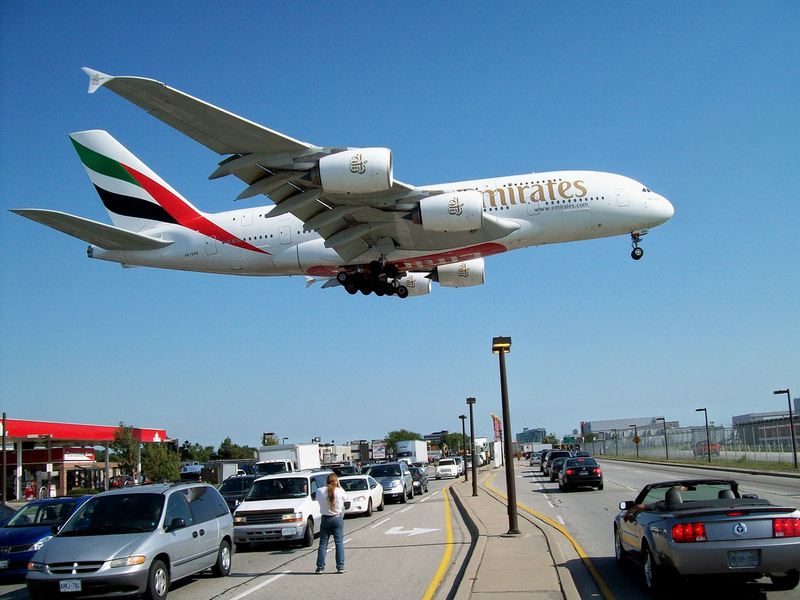 FYI the P2P demand between DXB-CAN (round trip) in 2014 was 181,000 passengers! British Airways has officially announced as a result of rising demand along with great encouragement from the U.K government to boost business and leisure links with China, it shall be increasing its services to PVG-Shanghai effective 20FEB16. Currently, BA operates a daily nonstop flight from LHR to PVG using a B777. These will be increased to 10 weekly nonstop flights operated by a daily B773ER + 3 weekly B772ER. 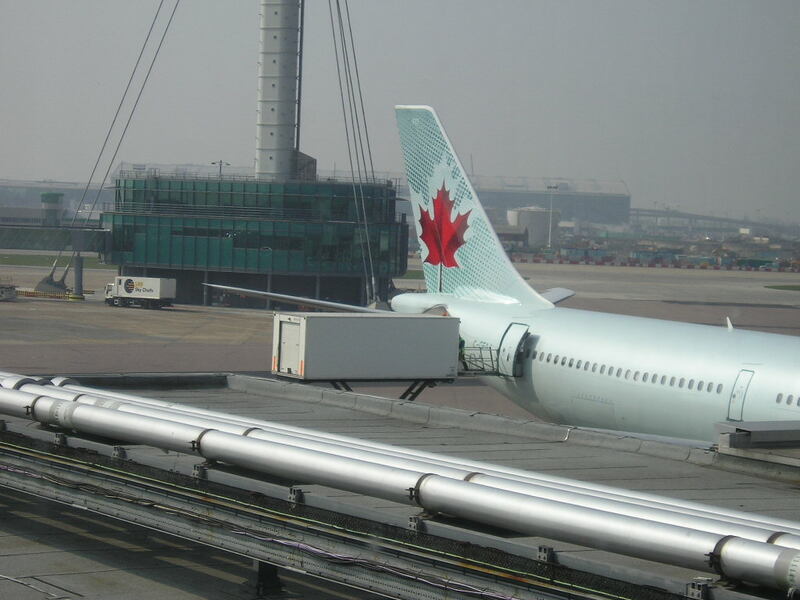 Point to point demand in 2014 between London and Shanghai was 336,000 passengers and this is expected to grow by at least 15% by end of 2016. 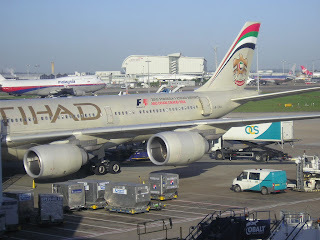 AF suspended CDG-IKA flights in 2008 as a result of global economic meltdown and the negative effects sanctions were having on Iran. 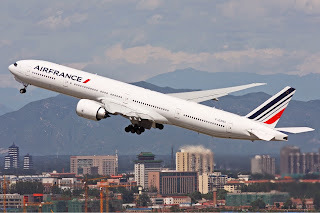 In addition, the French national carrier also confirmed that it will be increasing its services into New York JFK airport by adding a new daily flight from Paris's second airport i.e. Orly (ORY) effective June 2016. These flights will be operated using a B777-200ER. Sri Lankan Airlines CEO has publicly stated in an address in Colombo recently, that the airline is undertaking a major cost restructuring exercise aimed at bringing the airline's operations in a sustainability mode after years of massive losses on its long haul routes in particular. He confirmed that the "Vanity routes" in question to be cut are Rome, Paris and Frankfurt where it cannot compete against the GCC carriers funneling traffic via their respective hub airports to Asia as the yields are far too low to justify continuing operating. London will be retained as the sole EU destination served nonstop from Colombo using the A332/A333 fleet and the aircraft coming out of FRA/CDG/FCO will be instead used to boost frequencies to China. 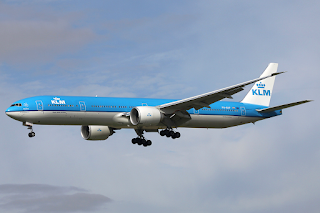 KLM has officially announced that it will be increasing its presence in Muscat and Los Angeles from the on set of the IATA S16 season as the carrier looks to take advantage of available opportunities in the long haul market segment. Currently, JFK is operated 3 times per week nonstop using a B777-300ER (77W). These flights will be increased to 5 times per week using the same aircraft type. As far as FRA is concerned, the route will also be increased from 5 weekly to daily nonstop using a B77W as well. 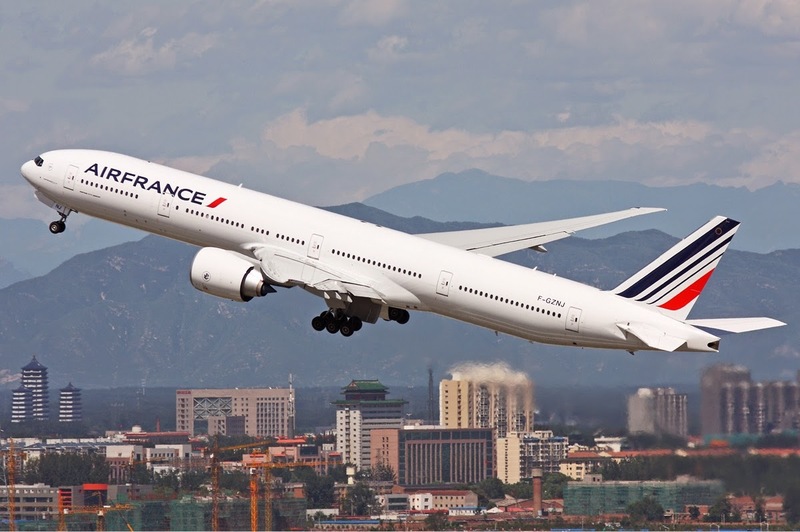 FRA is one of CI's top performing long haul routes in terms of cargo revenue. Qatar Airways officially announced today that it will be increasing capacity on its services to MPO-Maputo, Mozambique effective 29MAR16. 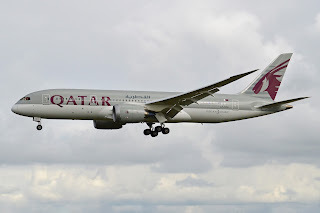 Currently, all 3 weekly flights are flown via JNB using a B77W however from the on set of the IATA S16 season, it will make MPO a nonstop terminator destination (DOH-MPO-DOH) using a 254 seater B787-8. 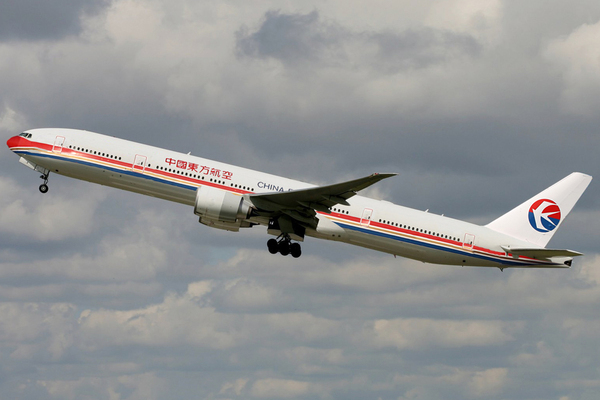 China Eastern Airlines, the largest carrier based out of Shanghai airport has officially announced that it will be launching three new long haul destinations in 2016. All the routes will be operated out of its primary PVG (Shanghai) hub base and they are to Brisbane (BNE), Prague (PRG) and Chicago (ORD) respectively. 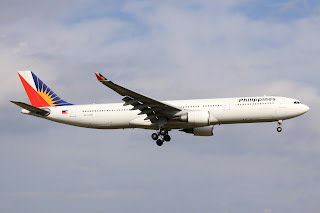 PAL has chosen to purchase the A350-900 over the B787-9 and will be using the normal version of the aircraft which its Ops department has confirmed shall be able to operate its longest route i.e. MNL-JFK nonstop without a payload penalty. A total of 6 units initially are ordered. PAL should not look at flying to CDG via DXB but rather via KWI instead. 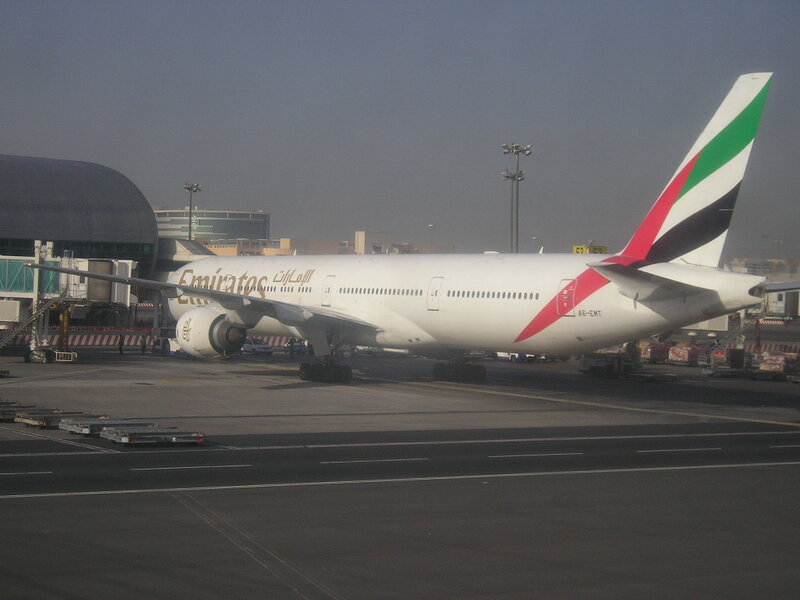 DXB-CDG already has 4 daily nonstop flights being operated i.e. daily AF + triple daily EK therefore there is no chance for PAL to be remotely competitive. Instead, KWI-CDG no airline flies nonstop as KU currently operate their service via FCO-Rome four times per week hence un-competitive versus a nonstop product. In addition, yields on KWI-CDG are much higher than DXB-CDG ! 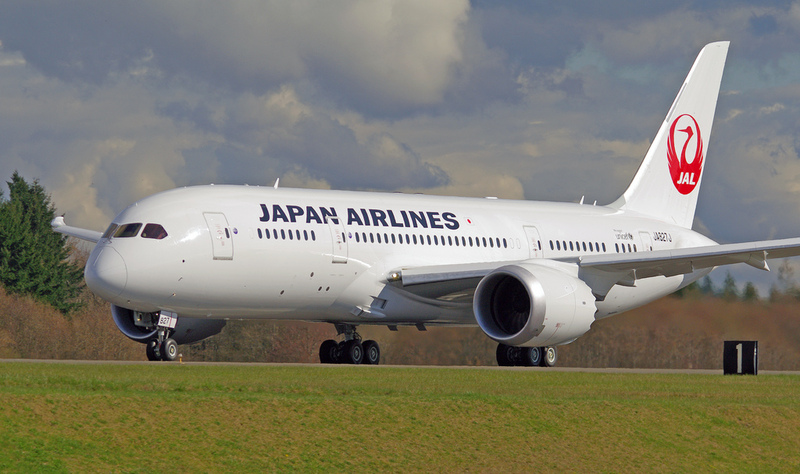 Japan Airlines CEO has announced that the carrier is looking to launch at least two new USA routes in 2016 during a press conference inaugurating the new nonstop Tokyo-Dallas nonstop service. The one route that was mentioned as a possible reinstatement was Las Vegas which JAL previously operated for many years. JAL is very happy with the performance economics of the plane and should seriously consider being the first Asian airline to fly nonstop to Miami which is a major hub of its fellow One World partner i.e. American Airlines. NRT-MIA traffic demand in 2014 was 24,000 passengers + via AA support it can access easily Latin/Central America + Caribbean islands providing passengers with one stop access. NRT-MIA can be sustained 4 times per week using a B789 with the flying time of the route being 14 hours 30 minutes hence easily do able from an aircraft flying range perspective. Malaysia Airlines has officially announced that it will be suspending all flights to both Paris and Amsterdam effective 25JAN16 as the carrier enters into its last phase of route network restructuring designed to save the airline large amounts of operating cash. As a result of this, London Heathrow will be MH's sole EU destination where it shall continue to operate double daily flights using the Airbus A380 exclusively in code share with fellow One World partner British Airways. 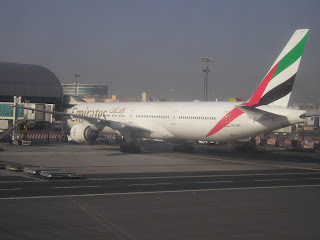 MH also revealed on the sidelines that it has concluded signing a broad based code share agreement with Emirates that will see the former place its code on EK's operated flights from DXB to EU and selected MENA destinations. In return, EK will do the same on MH's operated flights to the Austral-Asia region. This arrangement is very similar to the EK-QF venture initiated few years ago. It is highly surprising that a route such as Addis Ababa with its massive labor market demand to GCC has yet to warrant double daily A332 operated service by EK where as ET currently operate 18 weekly flights DXB-ADD ! Turkish Airlines has officially confirmed that it has ordered 20 additional Airbus A321-200NEOs catered for additional planned growth in the 2020-30 decade. In total as a result of this order, 72 A321NEOs have been ordered by the carrier which has the capability to fly up to 7 hours nonstop from Istanbul with a full payload of passengers plus cargo. Cathay Pacific has officially revealed details on how it is configuring its upcoming Airbus A350-900s as well as on what routes it will be operating to and lastly what purpose it brings to the airline in terms of long haul expansion. To begin with, the cabin configuration will be in a 3 class layout seating 280 pax in total i.e. 38 business + 28 premium economy + 214 economy. CX has on order a total of 22 A359s + 26 A351s. 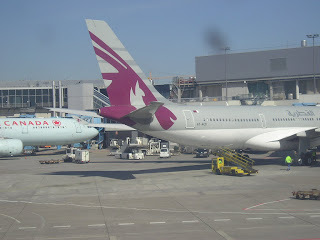 The A359 will be used to boost its presence in mainland Europe through frequency increases to Milan, Manchester, Zurich, Madrid, Dusseldorf and Amsterdam as well as launch potential new markets such as Barcelona, Copenhagen and Geneva (these 3 destinations are of my opinion only which have sufficient demand to warrant a CX flight 4 times per week). In addition to cater for growth, the A359 will be used to gradually replace CX's oldest B777-200As and A330-300s whilst the larger A350-1000s are geared to increase the carrier's footprint in Australia + North America along side replacing its entire A343 + B773A fleet (used on ASEAN routes). 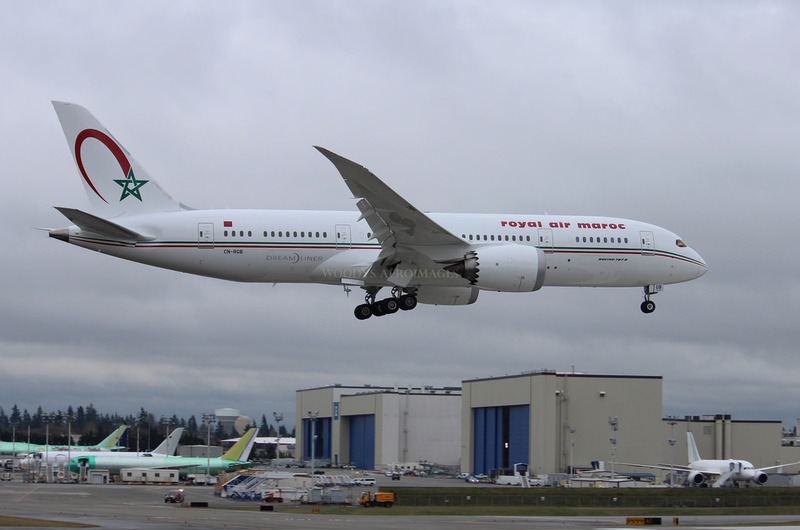 Royal Air Maroc (RAM) has officially announced that it will be launching 2 new long haul destinations from the Summer 2016 season onwards as the carrier looks to position its CMN-Casablanca hub as the gateway to North Africa and Southwestern Europe. The new routes are Washington DC and Rio De Janerio. 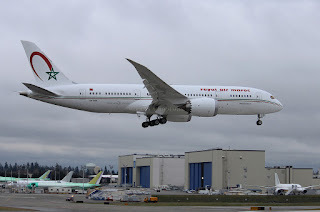 The former will be flown 3 times per week nonstop using a B787-800 effective 08SEP. The latter will be operated in conjunction with GRU (Sao Paulo) as a triangular service 3 times per week using a Boeing 767-300ER effective 02MAY. Air India has been cited by the Indian media to be seriously studying the prospect of launching a new nonstop service to IAD-Washington DC from its primary Delhi hub base. 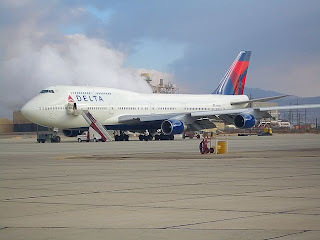 The carrier's new SFO-DEL nonstop service has received a very strong response from the traveling public as a result of it is looking at new opportunities in USA where Star Alliance partner United has a strong presence. If launched, it will be maximum a three weekly service operated using the same schedule as DEL-JFK-DEL and the aircraft shall be a B777-300ER only as AI's B788s would struggle to operate the route with a full payload nonstop.